A stunning example of a traditional kitchen in Spalding. This was a very involved project with work including a 6.5m structural wall removal. A complete rewire with lots of additional LED lighting. New ceilings and completely replastered, and decorated in Laura Ashley paint. A newly built inglenook with solid oak beam housed the fantastic SMEG range cooker. For all of your kitchen fitting requirements in Spalding and surrounding areas, be sure to contact is today! 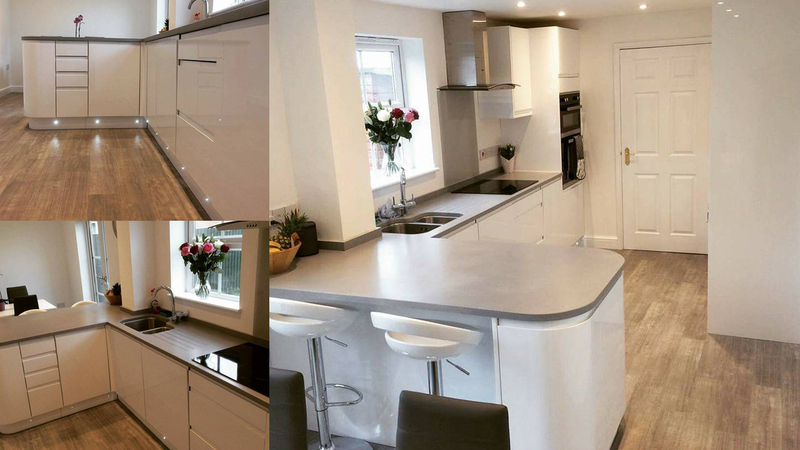 A gorgeous two-tone grey kitchen fit. 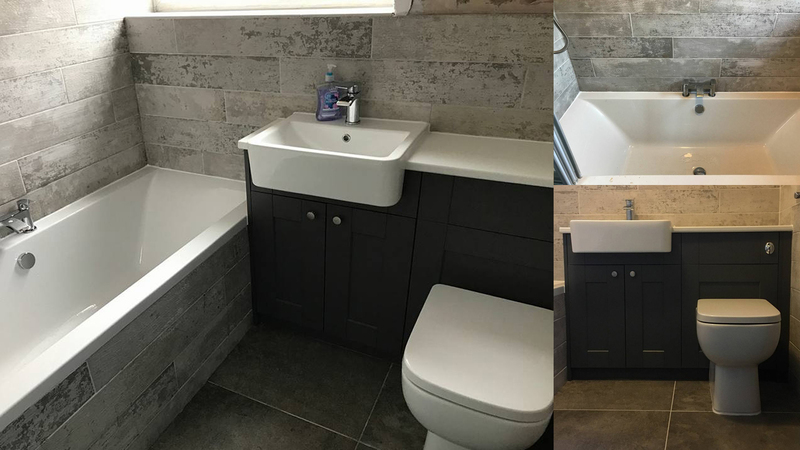 Various skills were applied during this re-fit including carpentry, plastering, decorating and tiling. 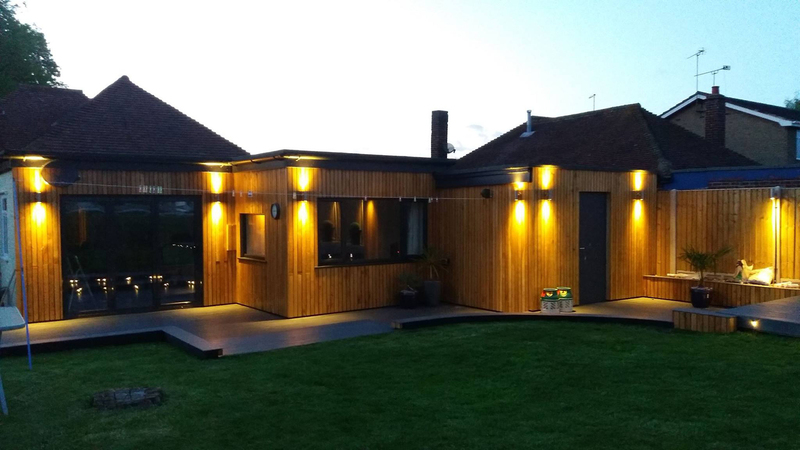 carpentry requirements within the Spalding, Bourne, Holbeach and surrounding areas simply complete our ‘contact us’ form and we will be more than happy to assist in any of your own projects. A lot of behind the scenes work was carried out on this project prior to the kitchen being fitted. Work included, plumbing alterations, construction work, electrical alterations, plastering and decorating. We were excited to finally start work on the kitchen fit itself and the end result has blown us away. Absolutely stunning and we are sure the lovely clients will gain years of happiness from the new space. A perfect addition to this barn conversion home in Swineshead. Our team of experienced tradesmen include carpenters and builders, who together have created a stunning masterpiece in traditional construction techniques. For all of your carpenter and builder requirements in the Spalding, Holbeach, Bourne and surrounding areas simply get in touch via our contact us form and we would be happy to assist in any projects of your own. A gorgeous high gloss white kitchen complete with breakfast bar island, white glass splashbacks all round and full integrated appliances. For all kitchen fitting requirements simply request a call back or drop us a quick message. Fitted wardrobes offer the ultimate solution in maximising precious storage space. Complete with sliding doors and automatic lighting. Design combinations are limitless and can be fitted to suit any space. For all of your bespoke carpentry and storage solutions, drop us a call today!